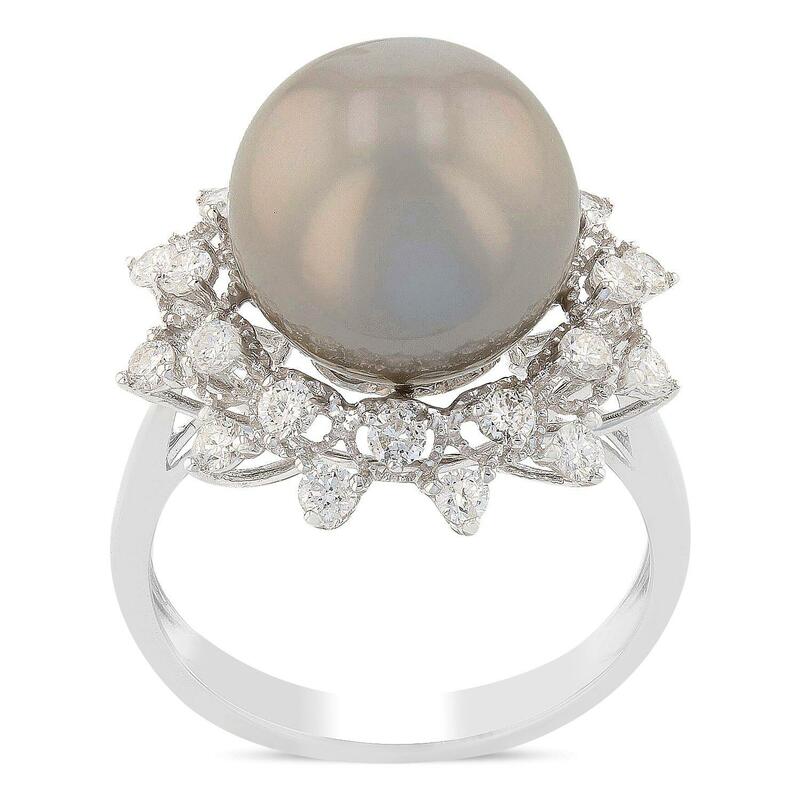 One electronically tested 14KT white gold ladies cast Tahitian cultured pearl & diamond ring. The featured pearl is set within a stylized diamond floret, completed by a three millimeter wide band. Bright polish finish with milgrain detailing. Trademark is Orianne. Identified with markings of "14K". Condition is new, good workmanship. One tahitian cultured pearl, 11.5mm in size. The pearl is black in color with a very good luster, round, mostly clean Graded in the setting. Twenty-Four prong set round brilliant cut diamonds approximate total weight of 24 Stones = 0.72ct. Graded in the setting.